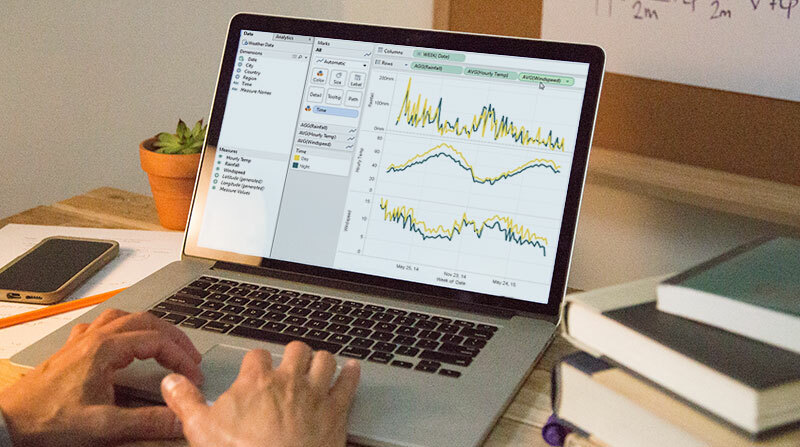 Whether you’re a student creating scatter plots for a project or an educator instructing an economics course, Tableau will enhance learning and teaching with a fast, easy-to-use, visual analytics platform. Students around the world get Tableau Desktop and Tableau Prep for free. Incorporate visual analytics into your curriculum - fast, free, easy. Unlock the power of institutional data for meaningful insights. Tableau showed me a fun, user-friendly connection between data and design — I couldn’t get enough! Learning data analytics with Tableau opened my eyes to which direction in my career path I wanted to take. I liked how easy it was to just drag and drop properties that I wanted to visualize, as well as selecting different forms of visualization (bubbles, bar charts, etc).